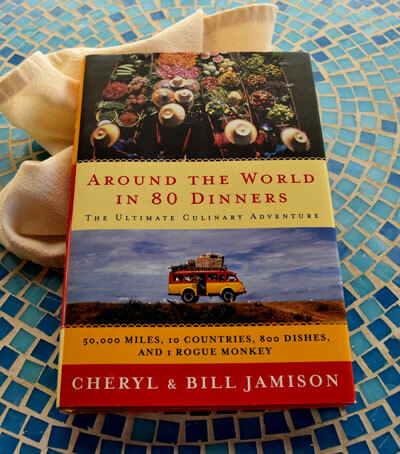 Enjoy your purchases by cookbook authors Cheryl Alters Jamison and Bill Jamison. 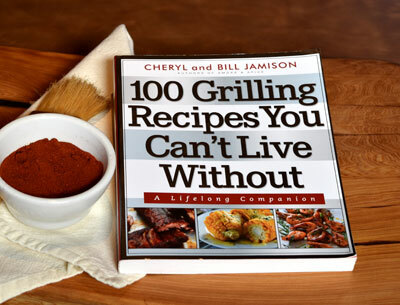 Even great cooks, such as Cheryl Jamison, one of the preeminent authorities on American regional cuisine and the author of many award-winning cookbooks, occasionally prefer the make-ahead convenience, easy cleanup, and depth of slow-cooked flavor that you get when you use a slow cooker. 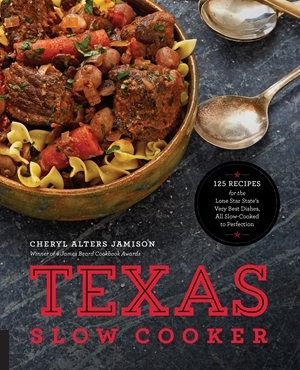 Co-author of the pioneering book Texas Home Cooking, Cheryl reveals in these pages that a stunning range of Lone Star gems, from chilis and stews to enchiladas and roasts, from bean or rice dishes to beef, bison, poultry, and shrimp, come out of the slow cooker brimming with flavor–and with a minimum of fuss for the cook. These 125 recipes are full of delectable, down-home goodness, each one at least as good as its version from outside the slow cooker. 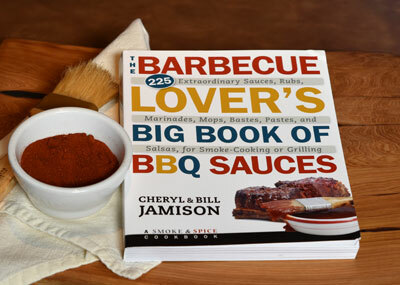 From mops and sops to pastes and bastes, soulful rubs to shimmering sauces–everything you need for outstanding grilling or smoke-cooking can be found in the more the 225 recipes featured here. 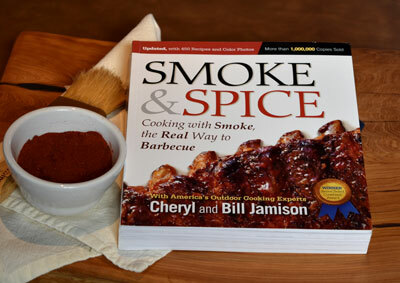 Unlike other books about barbecue sauces and related flavorings, these recipes say whether best for grilling, or smoke-cooked bbq, or both. The book is organized by the kind of seafood, meat, or produce you are cooking. Cheryl and Bill celebrate New Mexico with a tribute to the traditional foods of their home state. 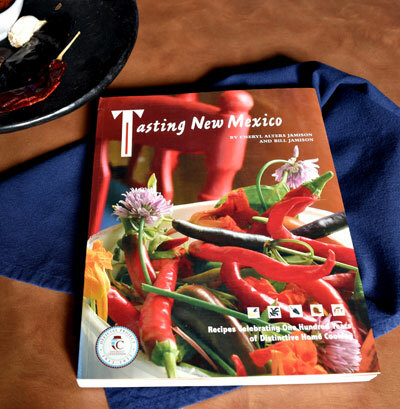 In addition to featuring full-flavored versions of 100 beloved local dishes, the book covers the agricultural and ranching heritage of New Mexico, and relates stories about notable cooks, restaurants, food products, and more. For over twenty years the nonprofit organization Cooking with Kids has educated thousands of children to make healthy eating choices through hands-on learning with fresh, affordable foods from diverse cultures. 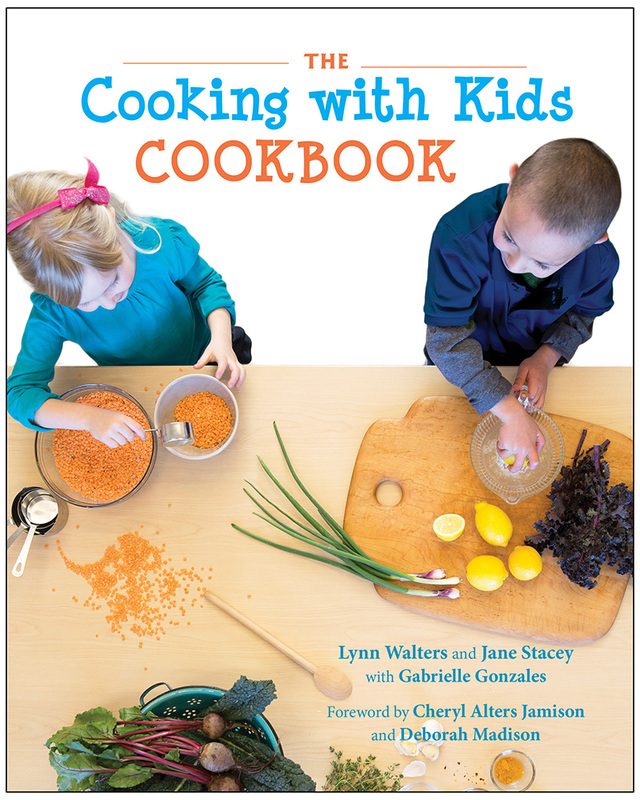 Written for families to use together, this cookbook includes Cooking with Kids’ most enthusiastically kid-tested dishes, along with tips for engaging children in the kitchen and in the garden. Kids can even pick up a pencil or a crayon and do fun and educational activities right inside the book. Featuring more than sixty-five recipes―among them South American Llapingachos, Minestrone, and Coconut Rice Balls―the authors dish up tasty, nutritious meals and snacks that teach children how to help plan, prepare, and cook meals. This book will show parents and caregivers that kids will enjoy a broad array of foods when they chop, measure, mix, and―of course―eat with pleasure. 100 “can’t miss” Jamison favorites. 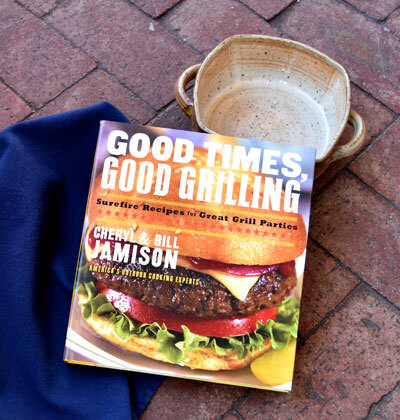 If you want one easy book for heatin’ up your outdoor cooking, this is it. 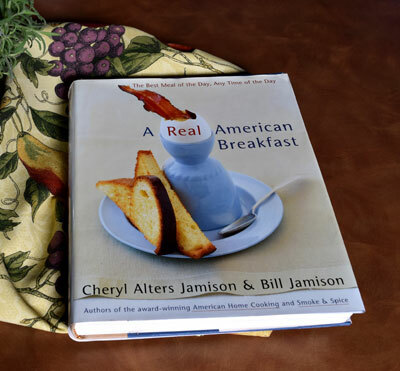 Finalist for best American cookbook in 2002 in the awards programs of both the James Beard Foundation and the International Association of Culinary Professionals. Brimming with 275 traditional and innovative recipes for bright ways to begin (or end) any day, beautiful color photographs, and fascinating sidebars, A Real American Breakfast offers a lifetime supply of homey, comforting meals. 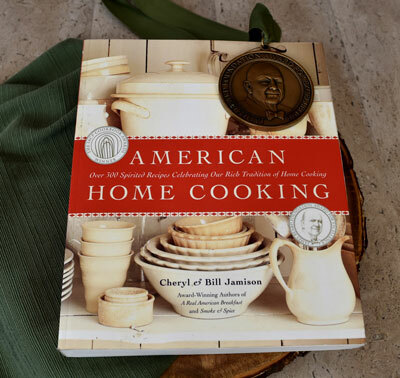 Winner for best American cookbook in 2000 in the awards programs of both the James Beard Foundation and the International Association of Culinary Professionals. 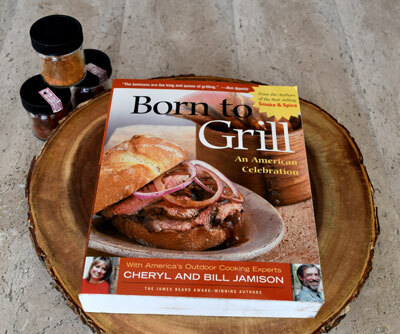 To the degree that we are what we eat, the delicious dishes in this book are us as Americans, a vibrant expression of our national spirit that’s as full of robust flavor as the food of any land. 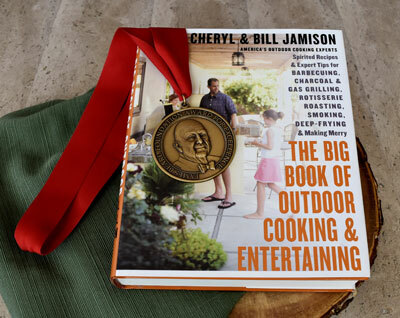 Cheryl and Bill have put all their knowledge about outdoor home cooking and entertaining into one colossal, comprehensive, and affordable guide with more than 850 recipes and hundreds of tips and how-tos for any food you want to cook outside and any possible method for doing it well. A James Beard Award winner. “Best of the Best Award” from Food & Wine. 300 sizzlingly satisfying all-American recipes guaranteed to release the inner griller in every backyard cook. Cheryl and Bill make it easy for anyone to grill perfectly tender, juicy chicken, bursting with flavor—every time they fire up the grill. 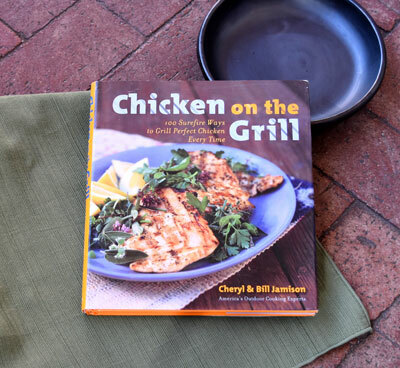 As the Jamisons acknowledge, grilled chicken is “one of the most botched foods in America,” but Cheryl and Bill show how to get it right in simple ways. Loaded with luscious recipes, lots of color photos, and great grilling tips, Chicken on the Grill is a surefire winner. Cheryl and Bill show how to throw an outdoor grill party that’s great fun for everyone, including the hosts and cooks. Forget the stress and hassles of entertaining by taking the simple, fail-proof approach the Jamisons recommend. The key to success, Cheryl and Bill demonstrate, is to serve full-flavored dishes with broad appeal that are easy and quick to prepare with little or no advance effort. 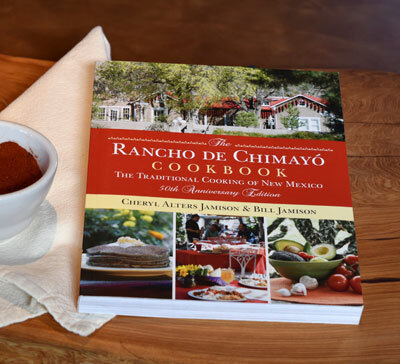 Celebrates the flavorful traditional cooking of New Mexico as practiced at the state’s famed Restaurante Rancho de Chimayó. This recently expanded edition includes more recipes and stunning photos, both historical and contemporary. 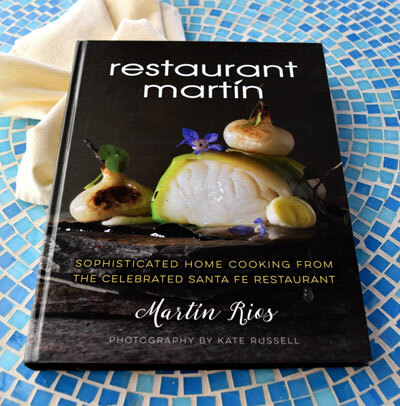 A collaboration between James Beard Best Southwest Chef nominee, Martín Rios, and the Jamisons, the book tells the story of Martín’s rise from humble circumstances in Mexico to a chef working in a Michelin three-star kitchen, with some of the best chefs in the U.S., and eventual ownership of his own lauded Santa Fe landmark. The recipes are designed to be workable for other chefs as well as enthusiastic home cooks. Sumptuous photos by Kate Russell throughout. 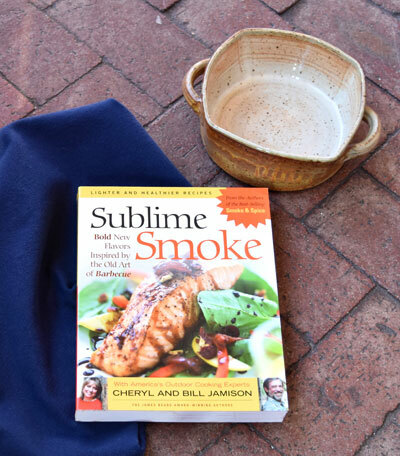 A companion to Smoke & Spice, featuring lighter, more contemporary smoke dishes. A favorite of professional chefs and home cooks alike. A selection of the Better Homes & Gardens Cook Book Club. 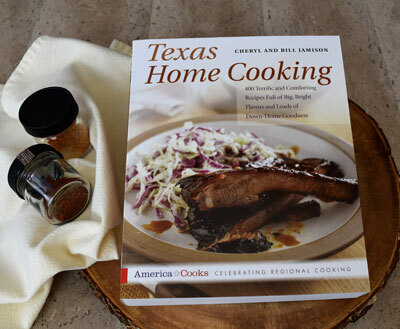 400 vibrant recipes demonstrate that the pleasures of down-home Texas cooking are as big and bold as the state. Winner of a James Beard Foundation Award for Excellence and finalist for a Julia Child Award in 1996. 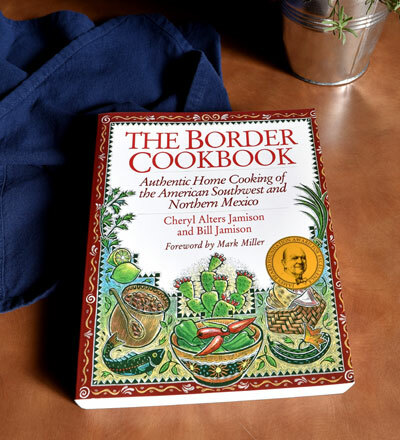 From the Gulf of Mexico to the Pacific, from Sonora north to Sonoma, the border region brims with a boundless variety of spectacular food, celebrated here with more than 300 delectable, easy-to-prepare dishes.